GE today announced that its connected LED light bulbs C-Life and C-Sleep will gain Apple HomeKit compatibility this summer. A new C-Reach hub with HomeKit support will allow homeowners to turn on and off their "C by GE" lights, dim them, and control bulbs individually or in groups by rooms with Siri voice commands. The lights also should be able to be controlled with the Home app on an iPhone, iPad, or iPod touch running iOS 10 or later. GE said the C-Reach hub will sell for less than $50 and will be available at a discount when bundled with some lights, according to The Verge. GE describes the C-Life as an "everyday" light bulb that provides "optimal daytime light," while the C-Sleep light bulb is supposedly "warm and calm at night" and "crisp and vibrant in the morning." 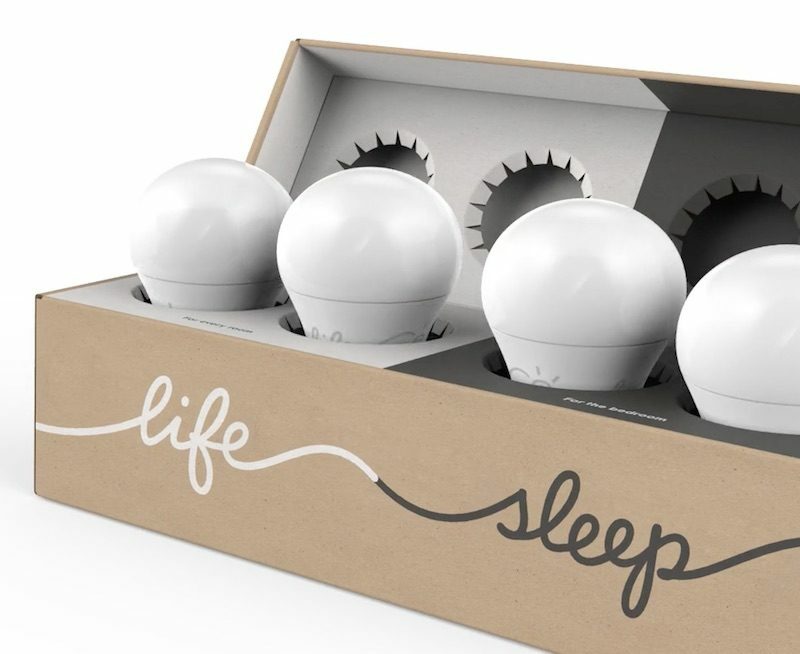 A starter pack with two C-Life and two C-Sleep light bulbs is available for $74.99 plus shipping in the United States. This ('https://www.amazon.com/Philips-HF3520-Wake-Up-Colored-Simulation/dp/B0093162RM') is the one I have. Quite worth it to me, and a very attractive. The "sunrise simulation" light starts off warmer and gets whiter as it goes. Yes! That's what started it all. A very nice product. For new buyers, I would highly recommend buying a Hue Go along with the Hue hub. You can then use the app to do exactly the same thing. The advantage is that you can then expand your system into multiple lights of various types, all connecting through the same hub and controlled with the same app. I am so far away from being a morning person that I actually have trouble understanding people who are. And this lets me wake up so gently and easily that I don't even complain. A miracle, to be sure. What I find fascinating about the whole light bulb market historically (talk a snooze-fest topic, but bear with me) is how it has evolved from a throw-away commodity to proper consumer electronic that people actually care about and research and shot for. Now with LEDs, they last for nearly the length of a mortgage, can be had with all sorts of nifty automation features, color spectrum, and other value-added gimmicks. They're also not so cheap. Now people cross-shop brands, compare features, and really research this stuff. 10 years ago if someone asked me what brand of light bulb I prefer, I would look at them funny. Today, a conversation cab had. What a bunch of marketing fluff. I had to read it a few times to come to the conclusion that the Life bulb is daylight only and Sleep is soft white only. To maintain a normal circadian rhythm, having bulbs that does all temperatures of white is essential. I bought into the Hue system recently and I feel much better after having the right light temperature to wake me up and to put me to sleep. Philips also sells semi smart bulbs that change color temperature by quickly flipping the light switch. At $6 a piece it was a cheap effective alternative as filler bulbs. Philips has a proven track record of HomeKit support, so I went with them after doing some research. The main thing holding me back from these things, as with every "connected" bulb I can find -- is that they're all around 800 lumens. That's weak, like a dim old 60 watt bulb. I'm lighting our living room right now with a lamp that has two 1600-lumen dimmable LEDs. They tend to "warm" color as they're dimmed, which is nice. Late at night, we dial it back pretty far, but if we want the light in that room on a cloudy day or whatever, it's there. I love the idea of being able to adjust color temperature between day and night (F.lux for the home, if you will), but I can't afford to drop FOUR dim smart bulbs into a lamp fixture just to light up a room decently. I think the limitation is due to heat. GE goes over the head and right around their former Wink partner with this one; interesting. Even with the starter kit. The former Link bulbs and Link hub starter kit was $49. Then you could step up to the full Wink hub if you wanted. This bypasses it entirely. Huh. I wouldn't expect to see much more Wink stuff from GE. I suspect that relationship largely fizzled after Quirky's demise. I bought into the Wink, some time ago. Have about 10 bulbs, 2 nest, I schalage lock and a lutron dimmer. I have to say at the beginning it was a little wonky- but over the last two years it has been actually great. I have all timers that work every day, all day. I can remote into my lock and add or remove codes, unlock and lock the doors- etc. I like Wink personally. Still on the Gen 1 hub too, not sure why I would fix what is not broke going to Hub 2. That was a major factor to me also, as I had a one bulb socket. So I went with Lifx @ 1,100 lumens / 75 Watt equivalent. The brightness combined with in my opinion the best lightbulb app design, I'm satisfied, aside the HomeKit integration which has been "coming soon" for awhile. $74.99 for 4 light bulbs that does not require a hub is pretty darn good (Hue starter includes only 2 for $69.99). On the other hand, I am skeptical that Bluetooth is a suitable wireless radio for light bulbs. The range is only 50 feet maximum, so controlling them remotely via single Apple TV would be challenging to setup in many homes. GE is working with other vendors to build a hub for them, but I don't really want to purchase and place hubs every 40 sq. ft. or so to get coverage. Philips Hue uses ZigBee. Spec allows 300 ft. maximum but Hue itself has 100 ft. range, allowing much greater flexibility. I believe the Hue starter does all color temperatures though. I used to be against hubs, but now I'm ok with it because of the range and reliability it provides. So Russian hackers can know my sleep patterns and lighting preferences? NO THANKS PUTIN! bought at launch a long time ago, cause they said HomeKit support would be here shortly. Shortly did not happen.Then after a bad sync. 2 would not work at all. they could not be seen by app. GE tech support stop responding after two emails. Phillips Hues has a line of white bulbs for $15 each. No reason to go with CE brand which promised HomeKit a long time and is only now going to deliver on that "promise" maybe. They don't have the experience and support of Phillips. I'm lost why GE would made two bulbs that look identical to each other which will just create confusion. Why not make one bulb that can produce both light types. Hue is way ahead of GE in this. Both can be controlled by their app. The one that can do all three settings is more expensive. Hue makes a bulb that can do only one light but is controllable called the Hue White. They make another one that can vary how warm it is called the Hue Ambiance. And a third that can do all that plus color called the Hue White and Color Ambiance. The difference is capability and cost, same as the GE bulbs. That's why there are two.